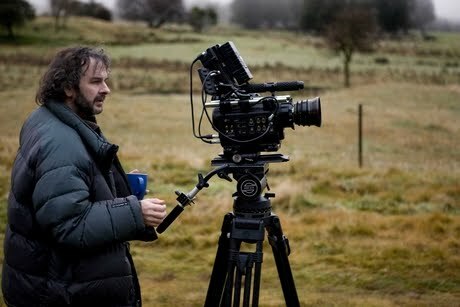 Just when things finally looked on the up for 'The Hobbit', Peter Jackson has warned that production on Lord Of the Rings prequel movies could cease or production moved from its location in his native New Zealand to eastern Europe over a pay dispute with Australia's Media Entertainment and Arts Alliance and New Zealand actors unions which have urged actors not to work on the films due to the dispute. The MEAA has called for an international boycott of 'The Hobbit' until producers agree to meet its demands over union representation. - Now there’s nothing wrong with NZ Actors Equity representing 10% of the actors in this country. It’s great that they offer that service, and if an actor chooses, there’s a supportive group they can join. Obviously the more actors that join NZ Equity, the better, since these organisations usually survive by taking a small percentage of their members acting fees. I’m guessing that Equity do something like that. Recently they have been part-funded by MEAA. - Over the last 10 years our relationship with NZ Equity has been rocky — whenever we cast an “overseas actor”, we get a letter telling us why such and such Kiwi actor would be so much better in the role. In most cases we have already auditioned the actor in question, and formed our own opinions — but what strikes me as unfair, is how this “helpful” service of suggesting better choices only includes the “Equity 200″. If you happen to be a good actor who doesn’t belong to NZ Equity (and many don’t), you’re automatically not good enough to be put forward.